One of the most often overlooked parts of the home is the roof. Roofing is probably the least popular home improvement options. 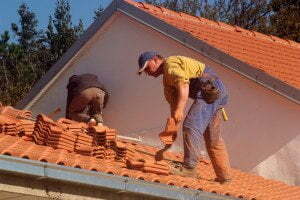 Most people think about roofing when they require their roofs to be repaired. Leaks, sudden holes, and other factors can contribute to the need for a new roof. A new roof can upgrade the look of your home too. Upgrade the look with Spanish tile roofing. Spanish tile roofs are some of the most attractive for homes in Southern California. Take a drive through any neighborhood in Southern California and you are bound to see this attractive roof on many homes. 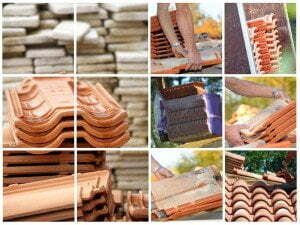 Spanish tile roofing is available in many styles. Contact a Lumina Builders Inc. representative for more information on roofing. According to Remodeling Costs Magazine 2013 Cost vs Value report, a new roof increases the value of the property by up to $12,000. If you’re looking to sell your home, it is a wise investment to have that old, asphalt shingle or cedar wood shingle replaced. Tile is an attractive option for roofing. 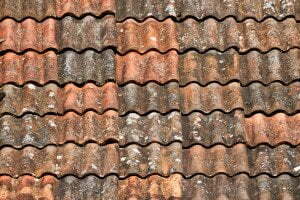 Tile roofing lasts much longer than asphalt shingle or cedar oak shingle roofs. Contact us for roofing options. We are confident that you will love the look of your home with a new roof. Lumina Builders does more than install new roofs. We offer roofing maintenance that can extend the life of all roofing types. No matter where you live in Southern California, bacteria growth can deteriorate roofs, especially wood shingles. Cleaning the roof can extend the life of the roof. Our roof cleaning service keeps roofs clean and free of bacteria growth that can rot wood shingles. Keep the roof clean and increase the curb appeal of your home. Lumina Builders Inc. are roofing specialists. We offer years of experience in roofing services including cleaning and installation. Our full range of roofing services are designed to increase the value of homes in Southern California.